Gather your family and friends - an exciting time awaits! Be prepared to have all the fun! Every holiday, the same question keeps popping up - which new, exciting place do we go to? It’s actually a pretty legit question (and one that would trigger massive headaches), as families with children, especially, would have to crack their heads to figure out where to go during the school holidays. 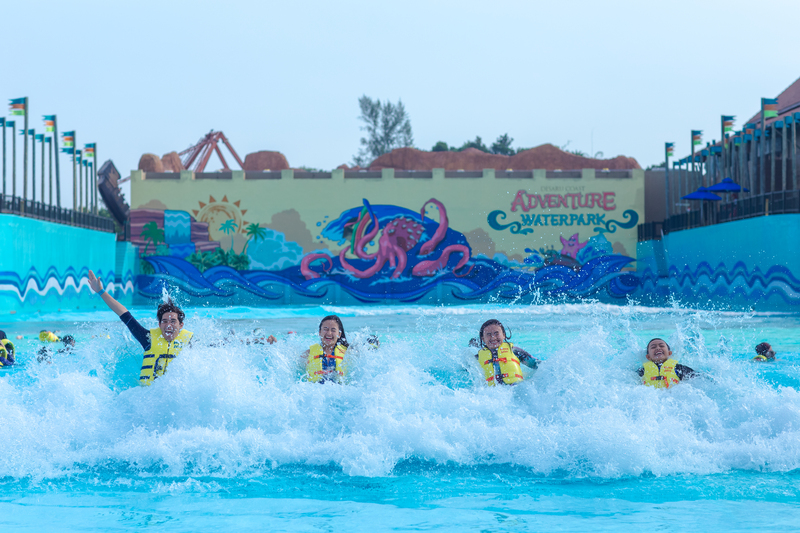 Well, one place that the young and old would have a splashing-great time at is Desaru Coast Adventure Waterpark! 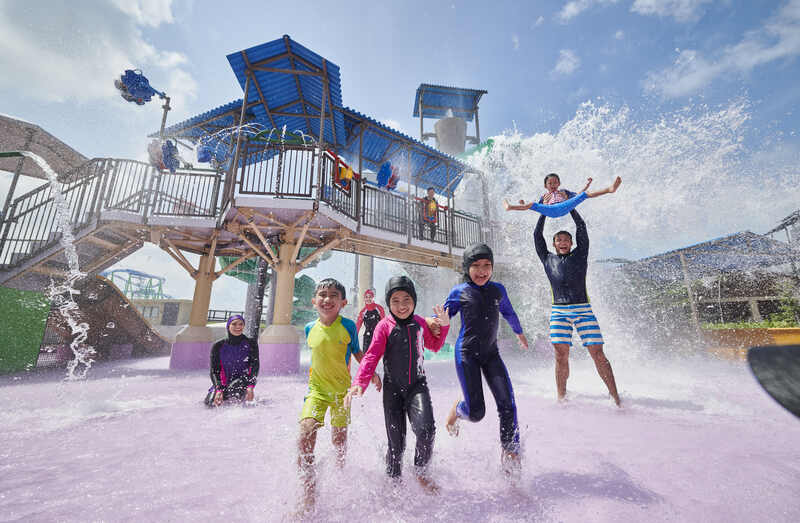 Set against the backdrop of a traditional fishing village in Johor Bahru, Desaru Coast Adventure Waterpark boasts five different zones and is home to various unique rides and slides, as well as one of the biggest wave pools in the world! From exciting, adrenaline-pumping activities to children friendly attractions, there are over 20 wet and dry rides and slides to be enjoyed. 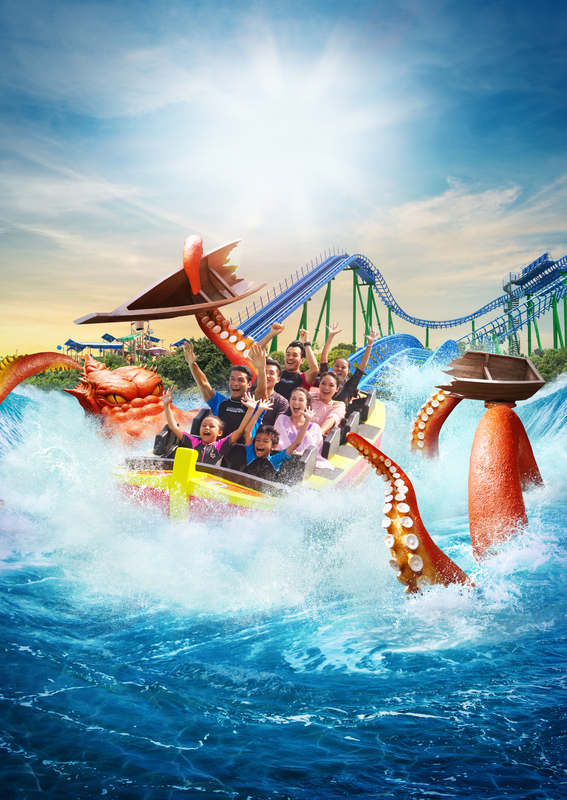 Ride a roller coaster straight towards the waters, where sea monster Kraken is awaiting its revenge! 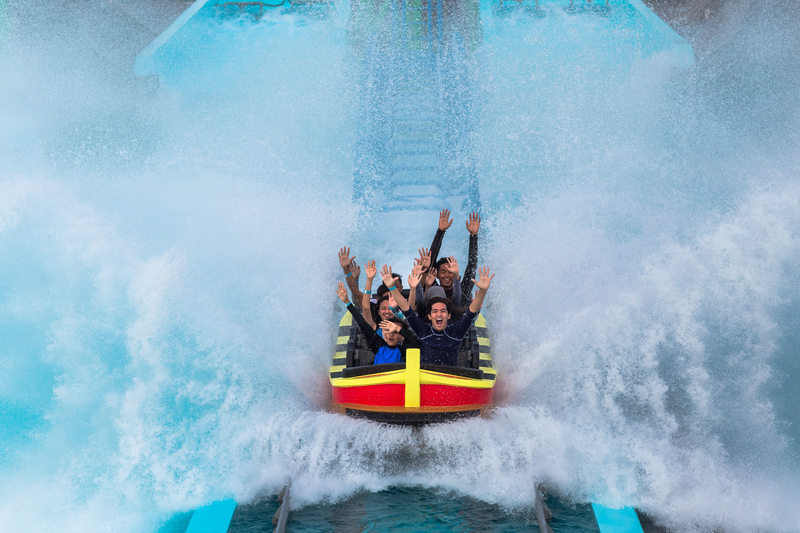 Fasten your seatbelts and hold on tight as the ride includes a 360-degree horizontal loop and a 27-metre drop that'll see you splashing into the pool! If you manage to escape the grasp of the 'angry Kraken’, you can enjoy a few minutes of peaceful gliding in the waters for a bit. But don't stay too long or the monster may just catch up to you! 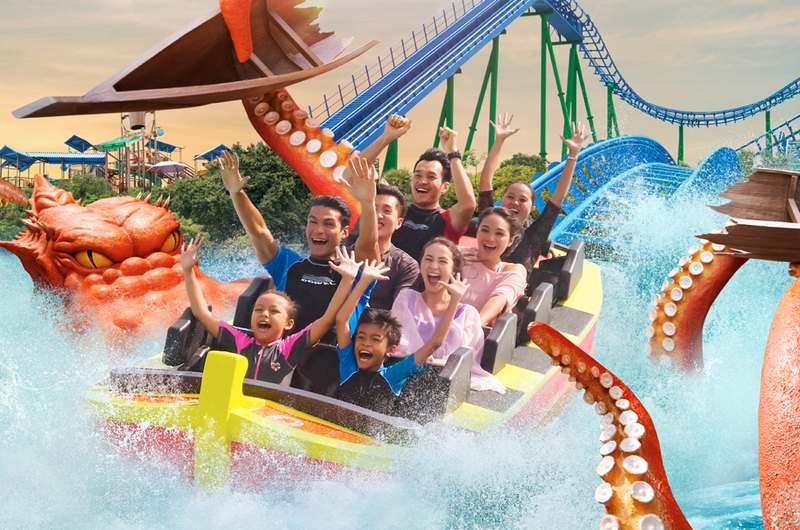 Kraken’s Revenge is the signature, differentiating ride for Desaru Coast Adventure Waterpark, which also happens to be the first-of-its-kind in Malaysia and the Southeast Asia region. If you, like us, have always wanted to try surfing but have been afraid of being swept up into the sea or be eaten by the sharks (you definitely don’t want that), you'd want to try the activity here where it's safer but just as exciting. The Tidal Wave Beach -- one of the biggest wave pools in the world – stretches over nearly three acres and holds more than 4 million gallons of water, and even comes with a sandy shoreline. In the mornings, the waves goes up to four-meters-high, making it the perfect playground to try your hand at surfing. In the evenings, the pool gets safer to cater to those who just want to enjoy a beach-like atmosphere. We can't let the kids feel left out, can we? There are three play areas for kids of different age groups to ensure that they have a safe but exciting time too. Li’l Warrior’s Hideout, Scallywags, and Starfish Splash are enjoyable for all, especially the young ones. If your kid wants something more exciting, there are 13 different water slides and activities that'll keep them occupied for hours. Where else can you get 'beach' and 'waterfalls' at the same place without having to go through arduous physical activities but at Desaru? 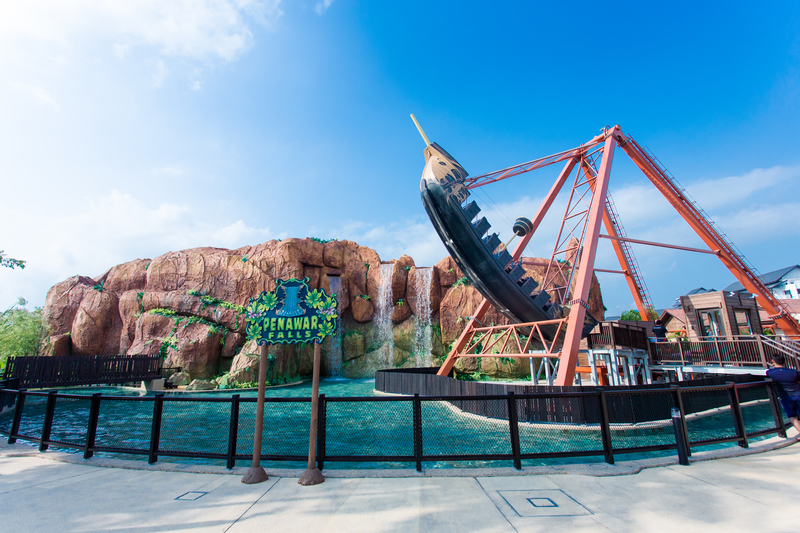 There are three separate waterfalls right as you enter the premise, and you can even ride on a Swinging Ship - a favourite among theme park enthusiasts. If you're more serious about surfing, you'd want to spend more time at the Surf Wall, a high-energy surf simulator. Your friends and family can even cheer you on from comfortable, shaded benches. If you want to experience something more exciting, The Tempest is one of the rides you die-die must try! 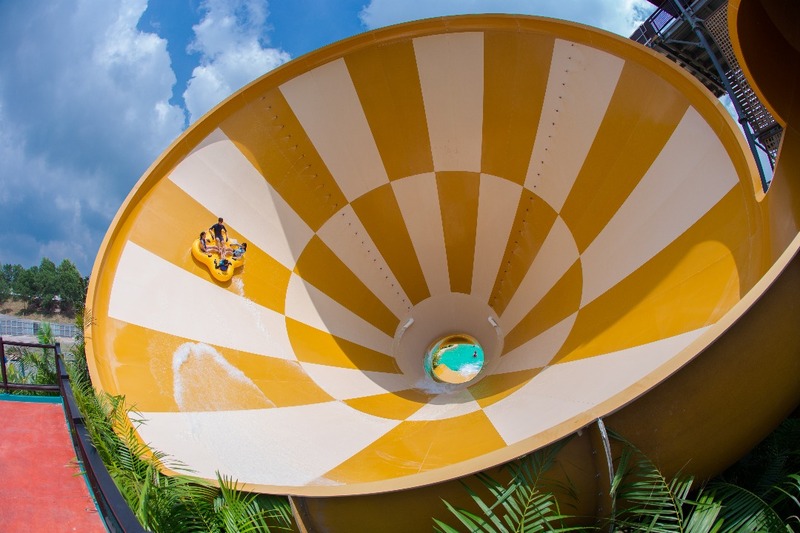 Let go and let yourself experience two high-energy funnels throughout the course of the slide as well as a sudden 24-foot drop, which allows for high-banking swings and zero gravity moments. It can be a little unnerving to feel so out of control at first, but after the first few seconds, it's truly freeing! On top of these exciting rides, there are five food and beverage outlets, prayer rooms, 11 restrooms including five that caters to the disabled, over 500 lockers, cabanas, beach lounges and chairs and plenty of parking spots for visitors. Chances of injuries are low if you follow all the safety instructions, but in the unfortunate event of an accident, the place even has first aid room and on-site paramedic team. Book online and get discounts! Are you guys sold yet? We know we are! 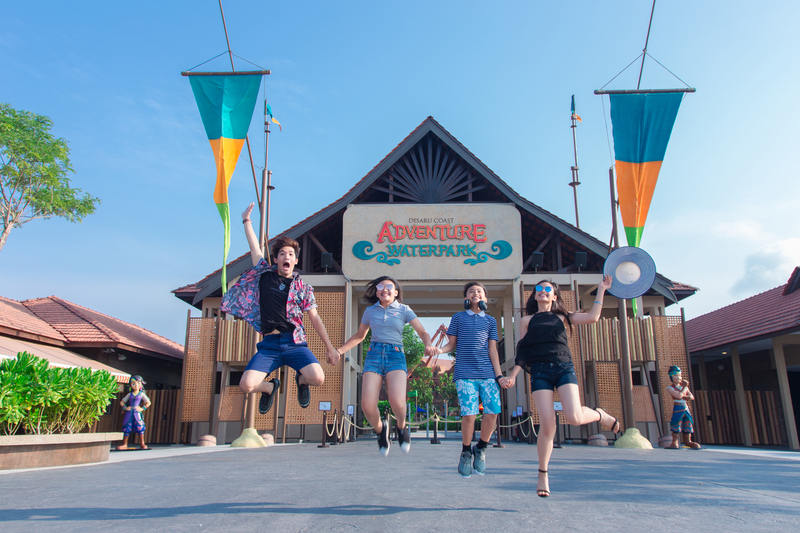 If you’re looking to spend your school holidays at Desaru Coast Adventure Waterpark, you can skip the queue by booking your Desaru Coast Adventure Waterpark online. Here’s the best part: you’ll get up to 20 per cent discount if you buy your tickets online. Not only that, they are currently running a Chinese New Year promotion where you get to save 30 per cent on ticket prices if you purchase the tickets before 10 February! Seriously guys, there’s no reason to wait anymore. 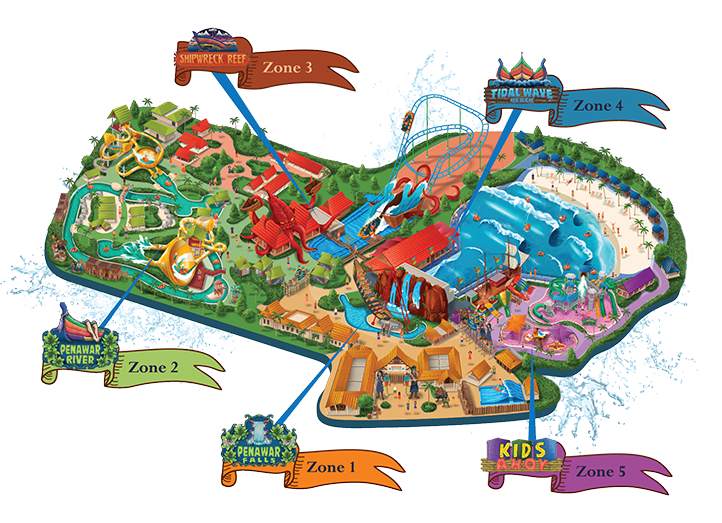 Head on over to Desaru Coast Adventure Park’s official website for more information. On a side note, Desaru Coast Adventure Waterpark is also running a 'Swipe Right' campaign where they are trying to help you score a date with Mark O'Dea, Shawn Lee and Harvinth Skin. Stay tuned for the first episode on Rojak Daily. Catch The Dota 2 ‘KL Major Tournament’ Live For Free With U Mobile!